Lakshmi Narayanan, Vice Chairman of IT major, Cognizant Technology Solutions, at BITSAA global meet in Hyderbad said Cognizant is investing heavily in healthcare. There are huge opportunities opening up for the IT companies healthcare, said Lakshmi Narayanan, Vice Chairman of IT major, Cognizant Technology Solutions, while delivering his keynote address on 'Innovation' at the Birla Institute of Technology & Science Alumni Association's (BITSAA) global meet on the outskirts of Hyderabad on Saturday, January 4th. Dwelling on the way ahead for IT companies, Narayanan said there were new opportunities now opening up in the areas of genetics, nanotechnology and renewable energy. Cognizant was investing heavily in healthcare, he revealed. "We believe there is a great deal of opportunity, innovation and growth in that space," he added. He said the secret of Cognizant's continued success lay in voluntarily limiting its operating margins and investing steadily in growth. "Limiting the operating profit at about 20 per cent and investing any earnings above it has been helping us,'' he said. The company, he said, has been "investing in innovation, ideas, people, and incubation centres.'' Cognizant has constantly made it clear to its investors that while "our margins will remain stable and predictable we will deliver higher growth." He said another factor that worked in the favour of the company was that it was a late comer. "Being a late starter we had the advantage of learning from the mistakes of others," he said. 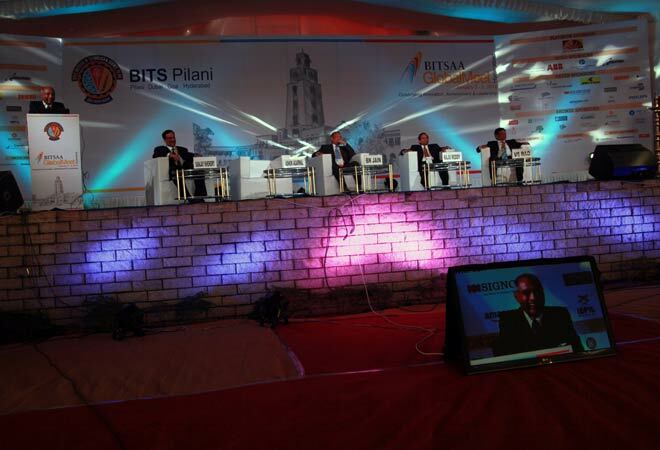 While he himself was not an alumni of BITS Pilani, he said, many students of BITS Pilani, were employees of Cognizant.